Jotun, a leading global supplier of paints and coatings, has announced it will provide its products and services to 12 of the top 20 tallest buildings within the Middle East over the next two years. A leading player in the region, Jotun, will be exhibiting at Council on Tall Buildings and Urban Habitat (CTBUH) Middle East conference opening this week in the emirates. The CTBUH conference runs from October 20 to 25 in Dubai and Abu Dhabi, and is a key date in the calendar of many in the construction and architecture sectors, as the world’s leading resource for professionals focused on the inception, design, construction, and operation of tall buildings and future cities, with Jotun being a gold sponsor of the event. 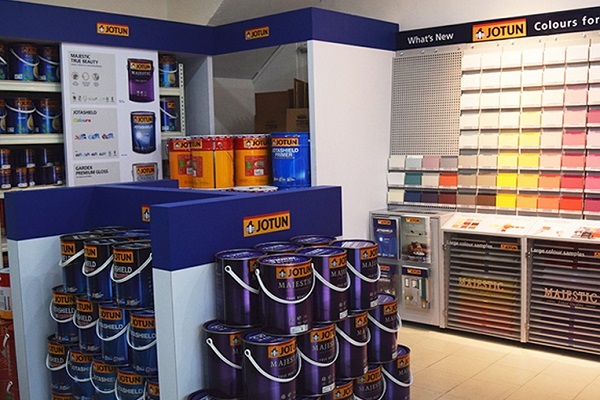 Jotun’s Green Building Solutions provides paints and coatings across a full range of building needs – with specification support for the planning stage and global availability for construction stage – including architectural powder coatings; anti-carbonation coatings for concrete; decorative paints; floor coatings; intumescent coatings for cellulosic fire protection and protective coatings. As well as this, Jotun offers an online green building guide, making the specification process as easy as possible. This includes an easily accessible overview of all the green building products and guide specifications, along with all the needed documentation (including Environmental Product Declarations (EPDs) where available), said a statement from the company. GBS provides a single global source for customers looking for an easy way to increase points for green building standards, including Leadership in Energy and Environmental Design (Leed) and Building Research Establishment Environmental Assessment Method (Breean). The GBS products work together to make it simple to attain Leed certification, aided by the vast number of EPDs that Jotun provides for its Green Building Solutions. Henriette Eggen, Jotun’s global marketing manager, infrastructure, said: "We are delighted to be exhibiting our Green Building Solutions and the online Green Building Guide to those attending the CTBUH Middle East conference this year, and to the growing green building industry." "We have worked hard to ensure we are able to provide an extensive range of green building products and the most efficient type of Environmental Protection Declarations (EPDs) for our customers worldwide: third-party verified Product-specific Type III EPDs," she stated. "This ensures our customers get the most points value from their paints and coatings possible, all from one supplier," stated Eggen.